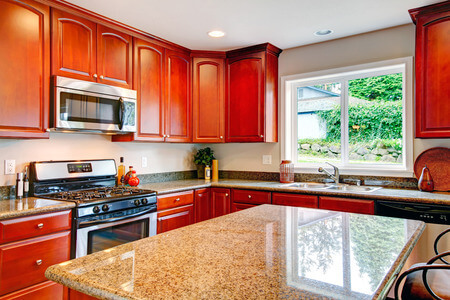 Clarkston, MI Homeowners, We’ve Got Just the Thing to Make Your Kitchen Come Alive Again. Have you ever noticed that the kitchen attracts all visitors to it? It’s probably that way because of the aromas and warmth that come from that room. Well, that’s as good a reason as any to make sure your kitchen is the best, cozy, and warmest kitchen you can make it. 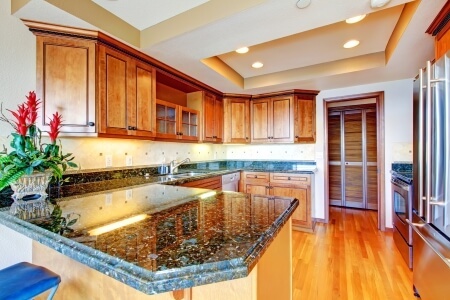 And for our Clarkston homeowners, we’ve got the best solution for you―new granite kitchen countertops. You’ll be glad to know that Extreme Granite is the place to come for your new kitchen countertops. 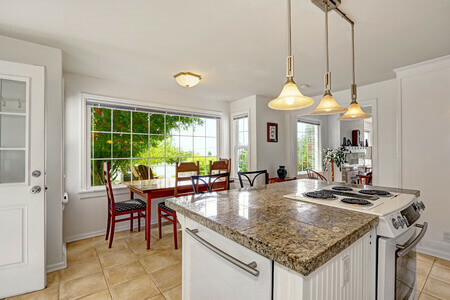 Often when considering a remodel think of the one change that will give your Clarkston kitchen the best facelift ever. You’ll find out that new granite counter tops from Extreme Granite is that one project to accomplish what you want. We already have many satisfied customers living in Clarkston, MI and you can be our next satisfied customer when you contact us today. We’ll show you why we call ourselves ‘Extreme.’ In our showroom you will see the most elegant stone product solutions for your Clarkston kitchen. 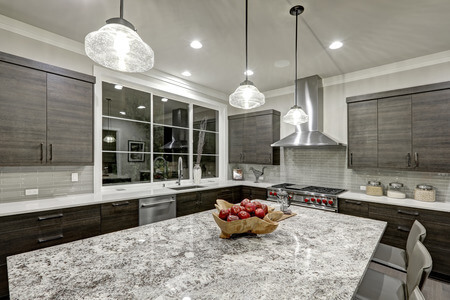 With the help of our professional and experienced design team we’ll answer the questions and concerns you might have so that your mind will be at ease after choosing one of our unique granite slabs for your kitchen countertops. Timelessness – It is not trendy, but a real timeless beauty with its uses going all the way back to Ancient Egypt. Unique – No two pieces of granite are ever exactly the same. The veining pattern, specks, swirls, and pitting varies all the time. Increases your home’s value – It’s one of the best remodels to increase your Clarkston, MI home’s value now and if ever you decide to sell. 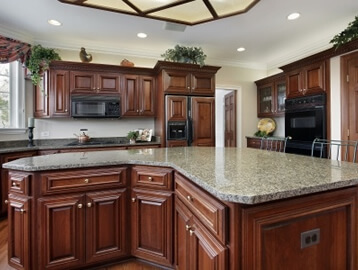 Contact us at 248-307-0832 and allow us to install new granite kitchen countertops in your beautiful home. We guarantee that you will have the best and most stress free home improvement experience ever. We are proud of our 21st century fabrication processes. We rely on a state-of-the-art facility with the latest tools and technology to fabricate your granite slabs. No matter the shape or dimensions, it will come out perfectly. We’re also in and out. Installation is quickly and expertly done by professionals who will handle your granite with the utmost care. 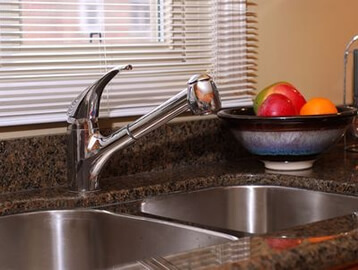 So, you can see that there’s no need to look any farther for someone to install new, unique, beautiful and timeless granite in your Clarkston kitchen. We do it all. Our reputation is tried and true and verified by our many satisfied customers. Contact us today for a free in-home estimate and begin the process of updating your kitchen countertops with granite from us. We invite you to visit our showroom and see why we can do it all.